I have a few Dell Kace M300 appliances that I'd love to update/upgrade, but I have no idea where to start or what to do. 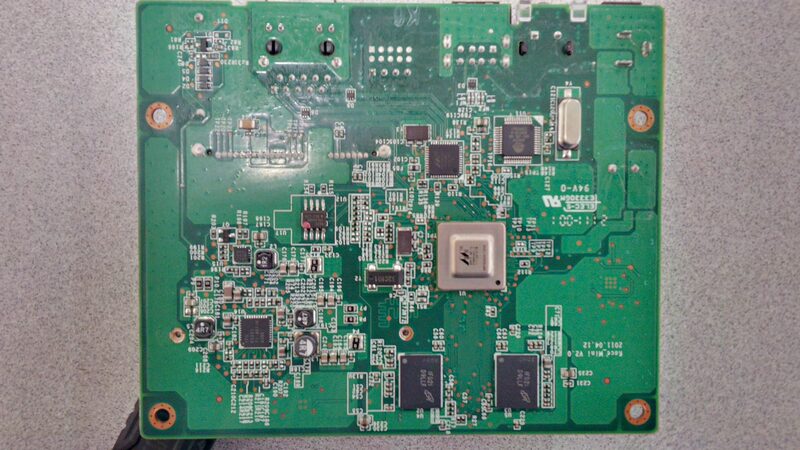 uboot claims the board is a "DB-88F6282A-BP LE". I have yet to find anyone attempting to flash this device and I have spent a ridiculous amount of time weeding through pictures trying to identify the board's manufacturer or any other information I can, but haven't found a single match. Any help or nudge onto the right path would be appreciated. 88F6282 indicated that it is a Marvell Armada 300 SoC (this is actually clone of Kirkwood Soc, not a real Armada ). 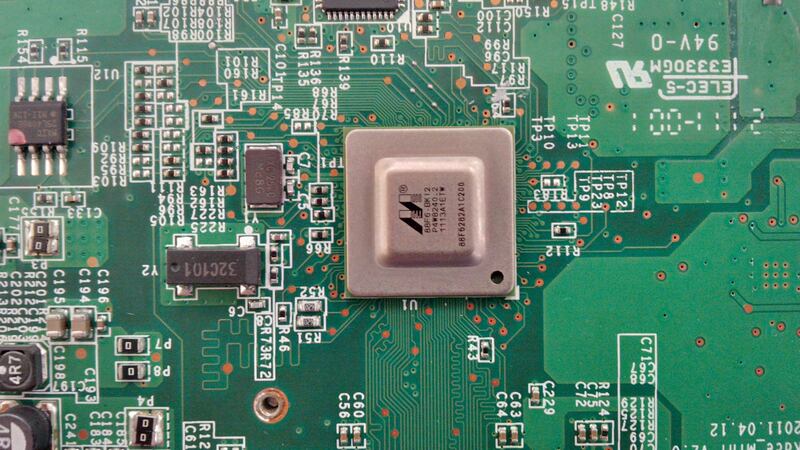 Having looked in your serial boot log, I can see it is indeed the Marvell SoC. 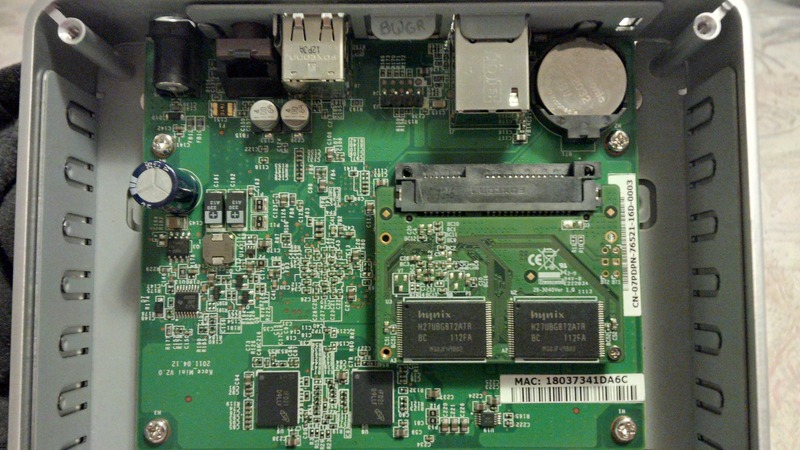 I have released u-boot and kernel for a simlar box: NSA325 which is a 88F6282 A1. UART Booting: If possible, try to test this boot image with UART booting before flashing to NAND. See davygravy's UART booting using kwboot instruction here in this thread. The latest u-boot image released here should be used for UART booting, if your box is the type that supports it (these do not: Dockstar, Pogo E02, iConnect). Edited 1 time(s). Last edit at 06/06/2018 11:46PM by bodhi. Nice find. 2GB RAM on a 2GHz 88F6282 w/ 1 Ethernet and two USB 2. And from the looks of the log file a 2.5" 16GB MLC Transcend SSD with 90MB/s write speed. Are similar to those from the TonidoPlug 2 and Verbatim MediaShare Mini which were both manufactured by Universal Scientific Industrial (Shanghai). I indeed picked them up on eBay for about 20 a piece. They're beautiful devices made out of machined aluminum over a steel frame so they have some heft to them. I figured if all else failed that I'd get a nice chunk of aluminum, an SSD, cat5 cable, and a power adapter. Man, I knew I was on the right track when I found a picture of the Verbatim Mediashare, but I instead gave up after getting nowhere on USISH's site. ff00005c: e5821000 e5921000 e3a03000 ee2f3f1b    .........0...?/. ff00008c: e3c118ff e5821000 e59f21e0 e5922000    .........!... ..
ff00009c: e3a01902 e0112002 0a00000b e59f21d0    ..... .......!.. ff0000ac: e5921000 e3c11080 e5821000 e59f21c4    .............!.. ff0000bc: e5921000 e3c11080 e5821000 e59f21b8    .............!.. ff0000cc: e5921000 e3c1120f e5821000 e10f5000    .............P..
ff0000dc: e3c5501f e38550d3 e121f005 e3a05000    .P...P....!..P.. ff0000ec: ee075f17 ee075f16 ee075f15 ee085f17    ._..._..._..._..
ff0000fc: e59f2174 e3a03010 e5924000 e1c44003    t!...0...@...@.. ff00010c: e5824000 ee3f1f11 e3811505 ee2f1f11    .@....?......./. ff00011c: e3a04003 ee034f10 e59f4160 ee024f10    .@...O..`A...O.. Edited 1 time(s). Last edit at 06/07/2018 01:26AM by JDS420. I've seen enough of Marvell boards, the bootROM version is really not a reliable indicator anymore. That was in the old days when we did not know enough. That's actually a good sign. Now after you've powered up, Control-C (if necessary) and recall the kwboot command, execute again. Try this repeatedly until it handshakes with the board (leave the power plugged in). Edited 2 time(s). Last edit at 06/07/2018 01:50AM by bodhi. > Here's some pictures of the CPU side of the board. Sorry Gravelrash! the shipping cost to your side the pond would make this less attractive. I think they probably started dumping this device inventory when it became apparent that nobody would buy it for the software price they intended to sell. JDS420 since you've obviously already determined the pin-out for the serial could you please post it? Received the unit I purchased on ebay today. It's a brand new unit and in my opinion in violation of the GPL as none of the documents included tell me how to get the source code. A search of Dell's website isn't helpful as it appears they have spun the Kace unit off to Quest KACE which appears to be oriented toward the software and have no mention of the M300 unit. I have done a tear-down of the unit to create the WikiDevi page and discovered that it has Debian 6.0.1 installed. You've created the Wikidev page that stated that the Ethernet chip is 88E1318. Is that on the chip marking? > You've created the Wikidev page that stated that the Ethernet chip is 88E1318. Is that on the chip marking? Yes, the chip is marked as 88E1318. I couldn't figure out how to mount the 3rd, Extended, partition. It would be nice to get this thing to do something useful. Assuming kwboot won't work, would the easiest approach just be to update the files in the boot partition? > USB3 enclosure and connected it to my Dockstar. Did you see xmodem error like JDS did while kwbooting? See my post right below that. This uboot is old. But should be able to boot the latest Debian rootfs. I will need to take a closer look. Edited 1 time(s). Last edit at 06/12/2018 09:04PM by bodhi. For anyone who wants to know, the serial pinout is written right above the header in my picture. Edited 2 time(s). Last edit at 06/12/2018 11:30PM by JDS420. Edited 1 time(s). Last edit at 06/12/2018 11:29PM by JDS420. > written right above the header in my picture. Black, White, Green, Red which are the colors of the wires on my USB-RS232 adapter. I don't know if that's universal, but Black is GND, White is the output from the board or TxD (input to the adapter, RxD), and Green is input to the board or RxD (output from the adapter, TxD). Red is +3.3V and probably shouldn't be connected to anything. Pin 1 is the +3.3V and pin 4 is GND. Pin 1 is marked on the board with a white mark. > kwbooting? See my post right below that. I believe I saw three different errors (I wish I had saved the session(s)). Most of the time it was exactly what JDS reported (Protocol error). I can't remember exactly what the other error messages said. Sometimes I got a dozen or so "+" signs before the error, but I never saw anything more than 0%. I tried many, many times before I decided it wasn't going to happen. I feel like I need to hook up a second serial port to monitor the responses from the board to see if it's really even trying. No, it is not universal nowadays (or at least not to these plugs with everybody's makeshift connectors that we buy on eBay). If you buy headers with 4 wires attached, they could be expected to go in reverse (for example, I always have to connect Red wire to GND pin to make it fit to the serial port of a couple of Kirkwood plugs). Thus, we always mark the serial pinout position with actual names (TXD, RXD, GND, 3.3V). marked on the board with a white mark. > messages said. Sometimes I got a dozen or so "+"
Interesting! Usually if it is not supported, we will get nothing in response. OTOH, xmodem protocol error ususally means that it tried to handshake, but could not sync up. The Pogo V4 frequently has this error. Then I think UART booting might not be supported. Did the xmodem error occur each time? Edited 1 time(s). Last edit at 06/13/2018 01:15PM by bodhi. This told me that the kwboot command was too late or completly ignored. No handshake attempt has occured. I'll give it another try with different timings. Is there a way to delay uboot from starting right away; like a delayed boot envar? > I'll give it another try with different timings. > away; like a delayed boot envar? Not possible to delay u-boot from starting. If nothing telling the bootROM to load u-boot from UART, it will load u-boot from flash and start it.